Hi everyone and welcome to Love, Tanya! This book is really close to my heart, because it's inspired by my journey to becoming confident and feeling happy about who I am. I wanted to write a book to share the things I've learnt with you - to reveal my top tips on fashion, beauty, love, friendship, YouTube... and loads more! Plus, there is room for you to list your own hopes and dreams alongside mine - so get creative and get involved! I'd love it if this book became a keepsake you can turn to whenever you need some guidance or a little pick me up. I hope you enjoy it! 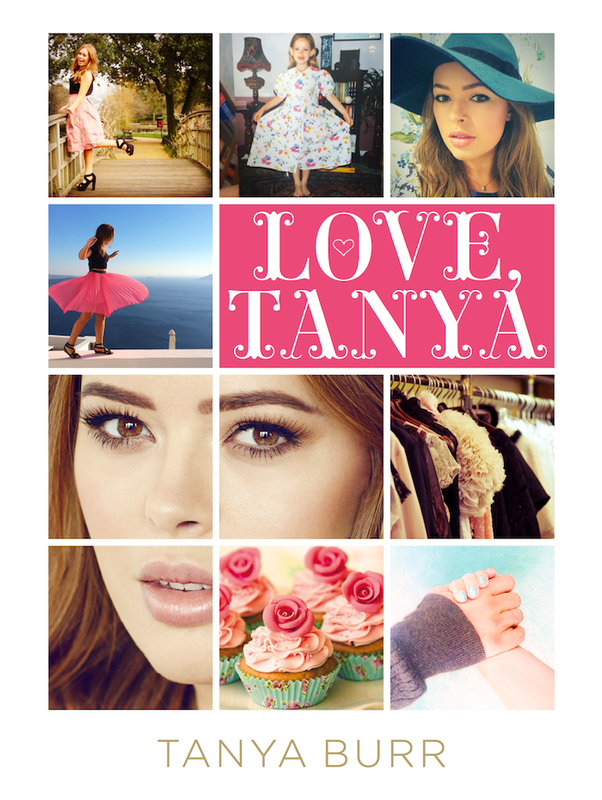 "Love, Tanya", is a fantastic book for all of her fans out there, just like her videos; her book radiates with her bubbly personality and helpful advice. I think she has done extremely well with this book, it really feels like she is talking to you on a personal level when you are reading. It is brilliant to have written guidance from such a positive, influential young woman. The book covers a variety of topics each chapter, such as: childhood, baking, anxiety, stress, skincare and love. I liked how each chapter was separated by beautiful glossy pictures, so a young reader could just pick up the book and have a read of a chapter whenever they liked. My favourite chapter was the childhood chapter- it's nice to hear more about Tanya's early life. At the end of each chapter there is an advice, or top ten list, which are alsovery interesting- being able to compare your likes to Tanya's. I absolutely adored the cover; and all of the pictures in the book, it's very clear to see that a lot of time has been put in: to make the book look amazing. I read the whole of the book in two sittings: and felt I was immersed into Tanya's world- it's quite rare for a new author to make a reader feel like they are being transported. Overall, I rate the book 5/5 hoots, a perfect companion for any young Tanya Burr fan. After reading Love, Tanya, I feel that Tanya is becoming an even stronger role model for young people- she has the perfect outlook on life, and this comes across very predominately in the book. I love Tanya Burr and I can't wait to start this book, glad you enjoyed it. Brilliant review!